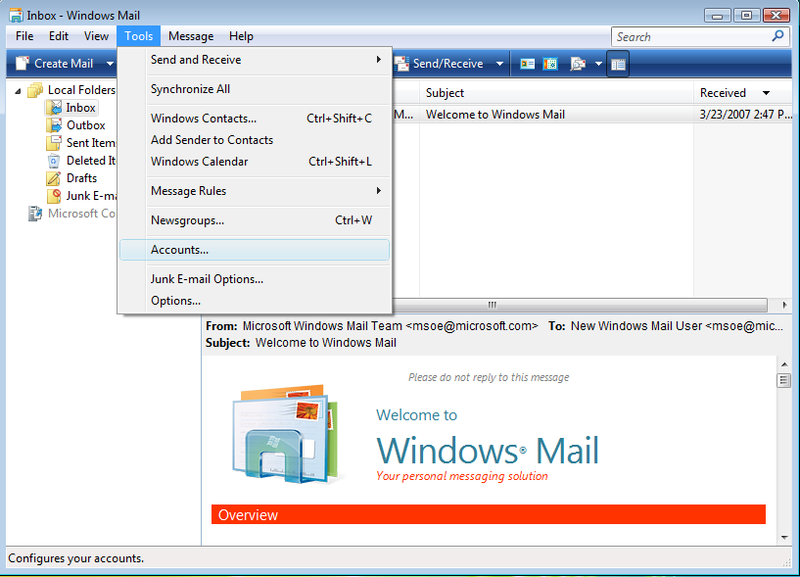 Click on the Start button in the bottem left corner, then click your left mouse button on the box that says "E-mail - Windows Mail". 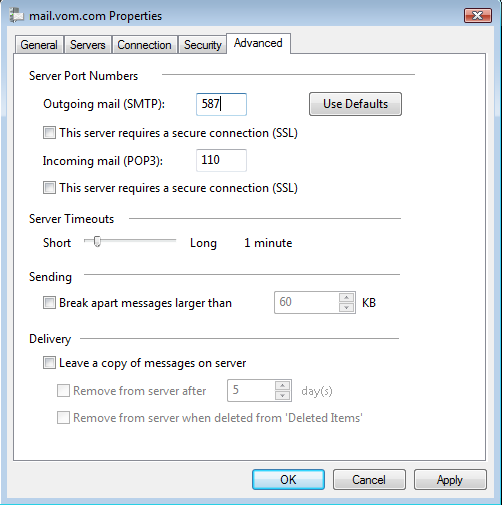 The incoming mail server is "mail.vom.com"
The outgoing mail server is "smtp.vom.com"
Put a check next to the text that says "Outgoing server requires athentication". Then click next. 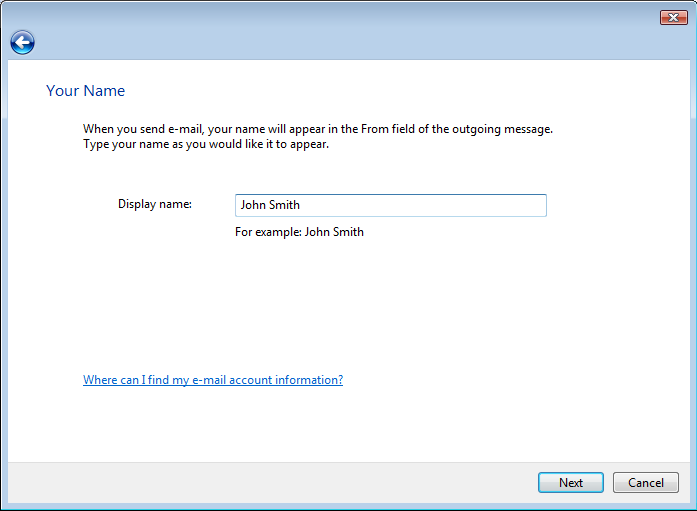 Now you will enter your E-mail username. 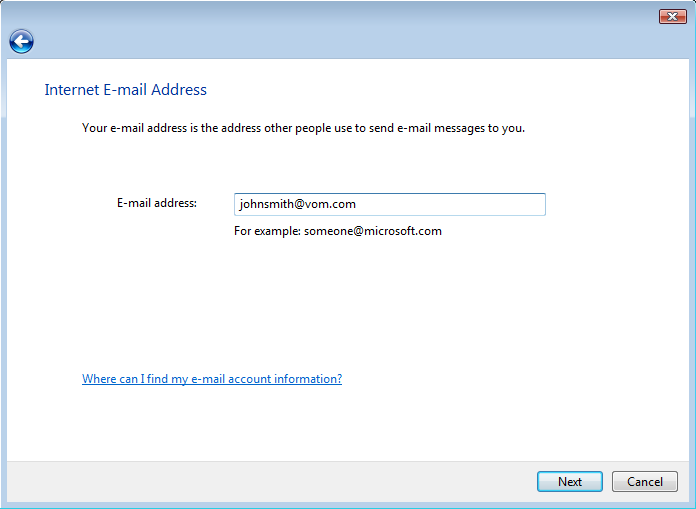 Your user name should be the first part of your email address without the @vom.com on the end. 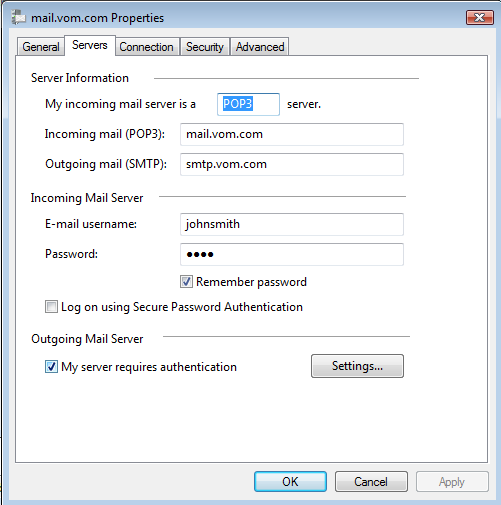 Make sure the Remember password checkbox is checked. Then click next. 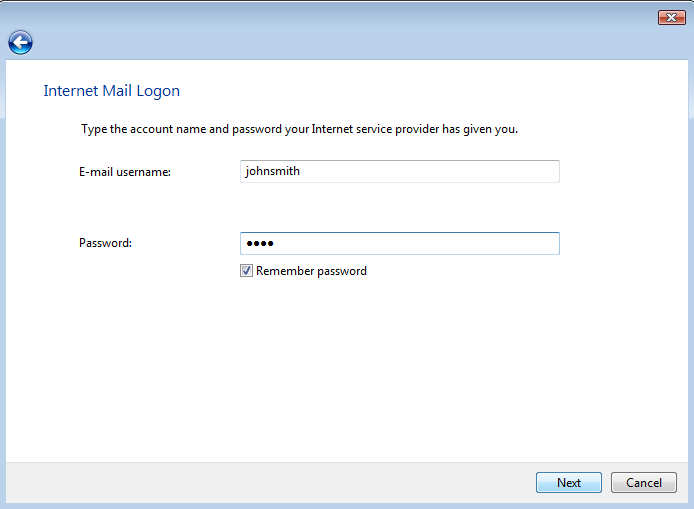 Now click on the account we just made, that should say "mail.vom.com (default)". Then click the Properties button on the right. 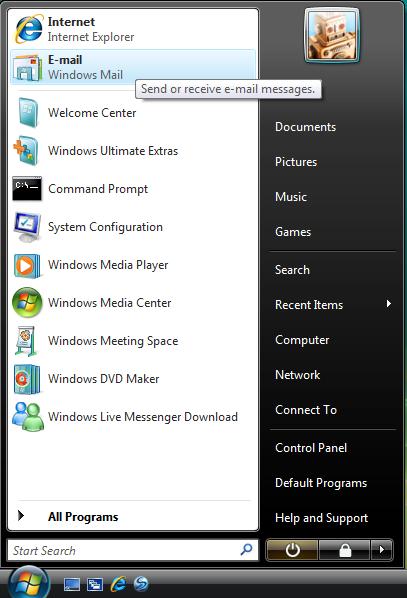 Now you will get a new windows with 5 tabs at the top. Click on the tab that says Servers. 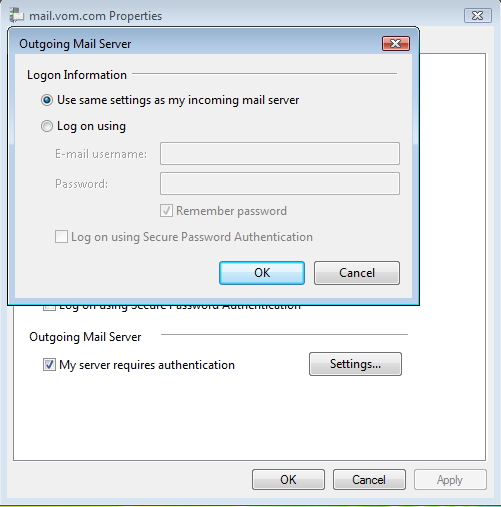 Make sure there is a check next to "My server requires authentication". Next click the Apply button at the bottom right corner. Then click the Settings button. 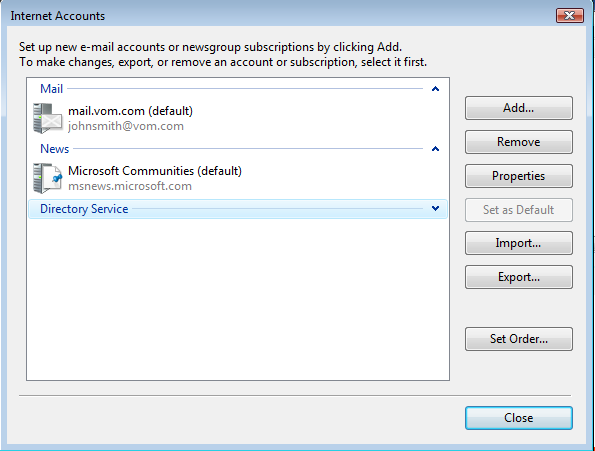 Make sure "Use same settings as my incoming mail server" is selected. Click the OK button at the bottom. Now click the TAB at the top that says "Advanced". 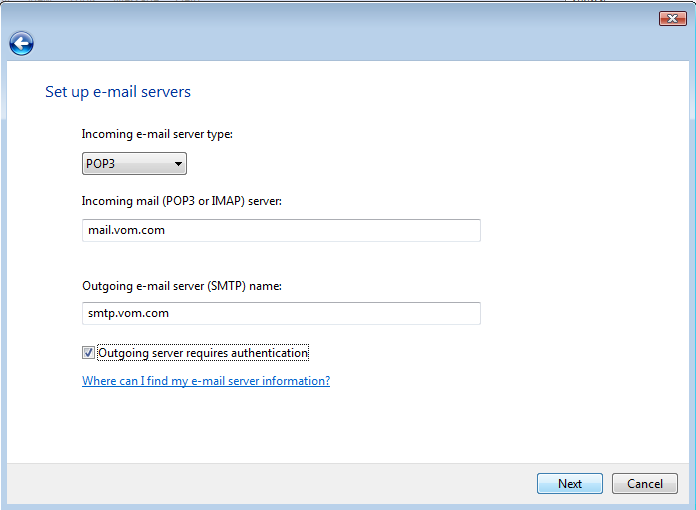 At the top next to Outgoing mail(SMTP), it should say "25". Change the "25" to "587" as shown. Click Apply at the bottom right. 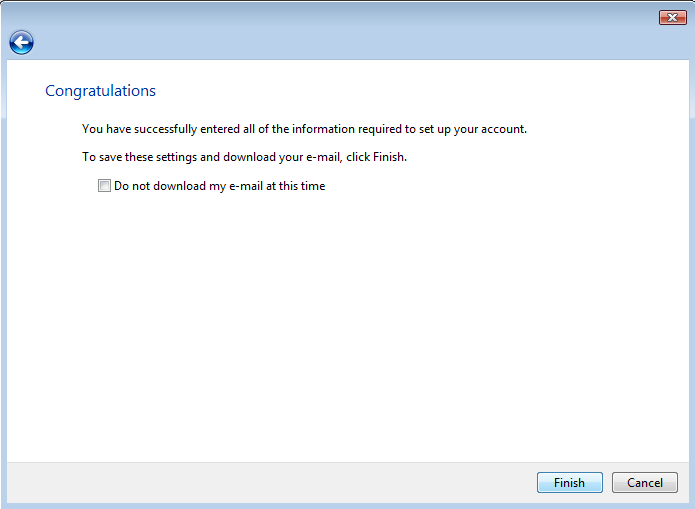 Then Click OK.
You should now be back at the Internet Accounts window. Click the close button at the bottom.